This is a closeup of a hanging crystal shell I saw in a card shop. 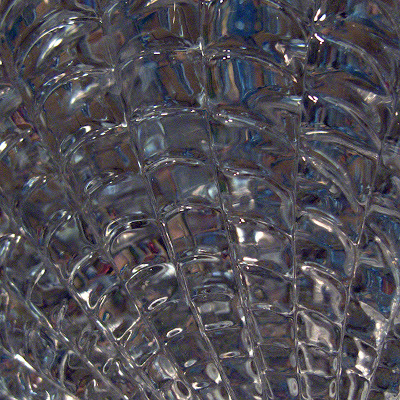 Regular follows of the blog recognize that I like glass and reflections and the way they play with the light. Canon G10, 1/500 sec at f/2.8, ISO 800 in macro mode.